Yamaha THR5 Guitar Amp | L.A. Music - Canada's Favourite Music Store! The THR5 and 10 have been updated V.2 with new speaker simulations that deliver more depth and character than ever before. V.2 delivers you more cleaner cleans and dirtier distortions. You can upgrade to V.2 by downloading the firmware updater. Artists explain Yamaha THR sound feature. Rich clean tones from a 6L6 power section with early breakup for incredible jazz, blues and country sounds. Low-powered EL84 class-A tube output with bright, clear, dynamic power amp distortion characteristics. Low-gain preamp section and EL34 power section for rich, controllable distortion with great midrange definition. EL34s keep the classic British clarity while a higher gain preamp allows you to push the amp into serious distortion. High-power all-tube design for dynamic, driving bass tone. Electric-acoustic optimized input with mic simulations for natural, clear tone. Flat response clean input for line sources, tone and effect controls allow shaping of non-guitar sources. 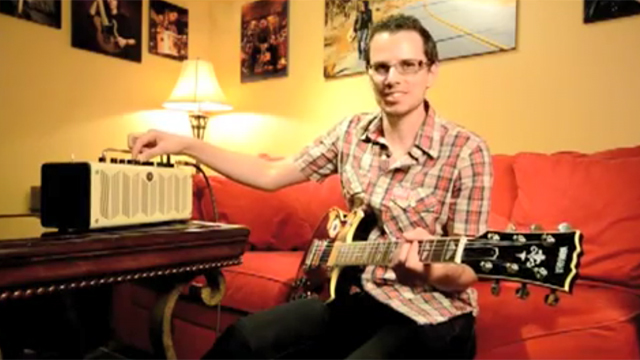 Artists explain Yamaha THR effects quality. Artists explain Yamaha THR portability. Artists explain Yamaha THR recording function.